Perhaps one of the industry's most singular talents, Terry Gilliam has directed some of the most unique and compelling films of the last twenty years. 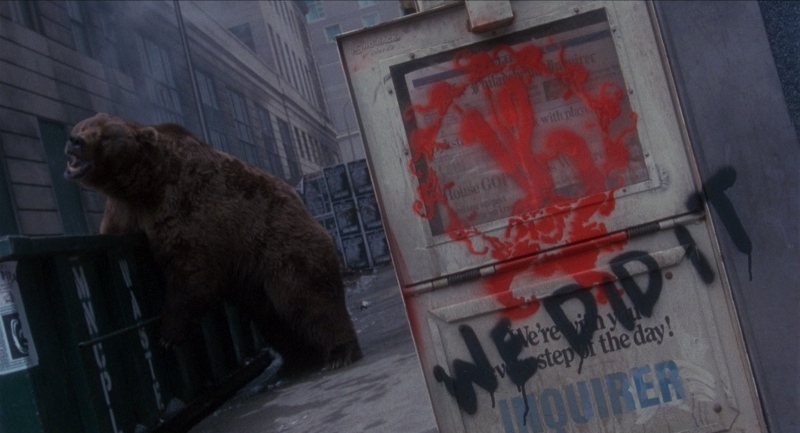 He may be remembered first for pictures like Monty Python and the Holy Grail, The Fisher King, or even Fear and Loathing in Las Vegas -- but the cynical, off-center, science fiction-laced atmospheres of Brazil and 12 Monkeys (1995) are perhaps his most ambitious of all. The latter is hardly his most accessible film; in fact, I'm sure I wasn't the only perplexed zombie that staggered out of the theater after my first viewing. For my money, though, it shares top honors with Brazil as being Gilliam's most complex and rewarding portrait of fear, paranoia, and "mental divergence". Featuring a terrific cast, an engaging plot, and enough mind-bending moments to warrant multiple viewings, 12 Monkeys has a little something for everyone and still holds up almost 25 years after its theatrical run. 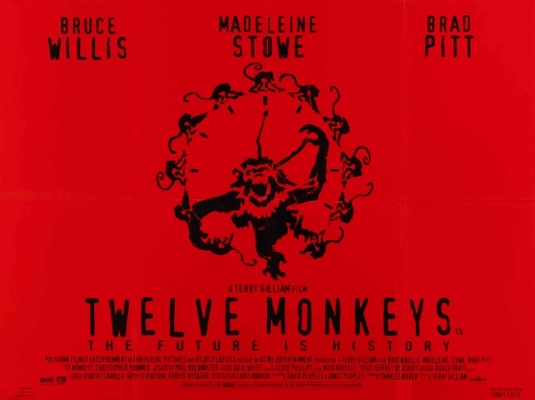 To divulge the entire plot and pathway of 12 Monkeys would ruin the experience for those new to the film --and besides, it probably couldn't be done very well in less than 1,000 words. Here's something to get you started: we're put inside the life of one James Cole (Bruce Willis), a prisoner from the mid-21st century who "volunteers" to return to 1996 and find out how a mysterious virus wiped out five billion people that year. Problem is, Cole's mistakenly sent to 1990, where even less people would believe him. 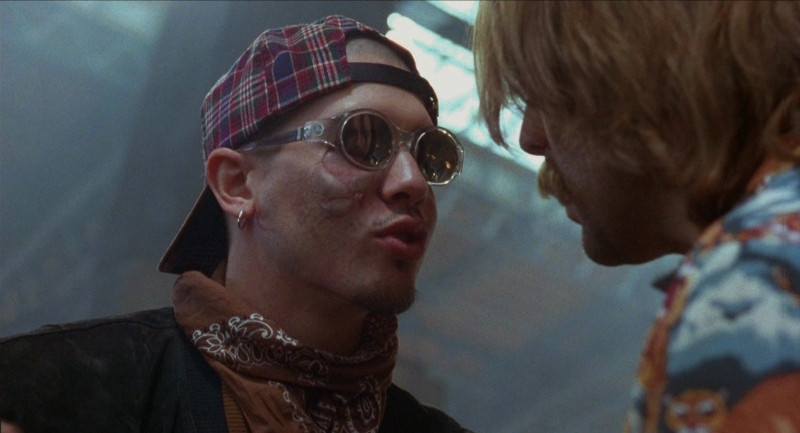 Fast-forward to a mental institution where Cole meets up with the stuttering, mildly psychotic Jeffrey Goines (Brad Pitt), a man who may or may not be involved with The Army of the Twelve Monkeys, a group supposedly responsible for the virus. Along the way, he also meets the empathetic Dr. Kathryn Railly (Madeleine Stowe), who turns out to be Goines' ex-psychiatrist and one of Cole's only real supporters. Interestingly enough, both "allies" -- among other faces from 1990 -- have already appeared to Cole in a faded, recurring dream he's had since childhood, in which a man is gunned down in a busy airport while a blonde woman watches in horror. With this kind of premise, it's no surprise that films like 12 Monkeys don't come around very often. Different time periods are touched upon -- from cluttered, disorienting future landscapes to the chaotic events of World War I -- and Cole gets the privilege of being our confused, almost feral tour guide from finish to start. Naturally, he doesn't know who to believe or trust and often acts out of sheer survival instinct. The "mental divergence" he suffers from (often represented by a raspy voice that may or may not belong to an actual person) is with him nearly every step of the way, scolding him for his mistakes and decisions. It's one head trip after another...and to make matters worse, Cole's dreams might actually come true. Everything comes full circle, like it or not, and history is doomed to repeat itself. Or is it? As mentioned before, a great story can't be told without great characters---and the cast of 12 Monkeys is more than capable enough to get the job done. Bruce Willis turns in one of the best performances of his career, as does Brad Pitt (who'd just come off another terrific performance in Se7en). Madeleine Stowe is another highlight: she not only has great chemistry with Willis, but walks the delicate line of insanity quite well. Christopher Plummer treads through familiar territory in his portrayal of Jeffrey's father, but his presence adds some much-needed weight to the role. Gilliam also has a distinct talent for finding seedy supporting characters -- the "villain" in this film isn't revealed until the very end, but first-time viewers will have a hard enough time guessing. 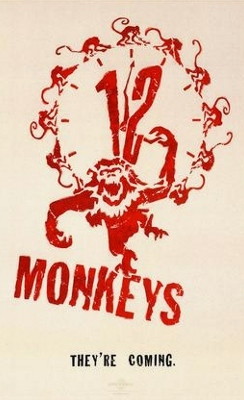 Either way, that's just the tip of the iceberg: 12 Monkeys offers a dense atmosphere in addition to other strengths and remains one of the decade's most focused, unique films. It's almost impossible to neatly dissect, but there's more than enough meat here to make it worth trying. 12 Monkeys has been released on just about every home video format available during the last 23 years, from VHS and laserdisc to multiple DVD editions, an HD DVD (my last purchase of the film), and a nearly identical Blu-ray from Universal in 2009. Arrow's new Special Edition Blu-ray promises a transfer sourced from a new 4K master of the film, deluxe packaging, and a couple of bonus features added to other extras that have been used and re-used on previous home video editions. It looks to be solid treatment of a deserving title, and that's never a bad thing. This "check disc" did not arrive with final packaging, but appears identical to the street copy that will be sent in the near future. The main selling point of Arrow's new Special Edition Blu-ray is a new 4K-sourced 1080p transfer; it obviously improves on Universal's HD DVD and 2009 Blu-ray editions, as both of those discs used the same source master as the studio's 2005 Collector's Edition DVD. 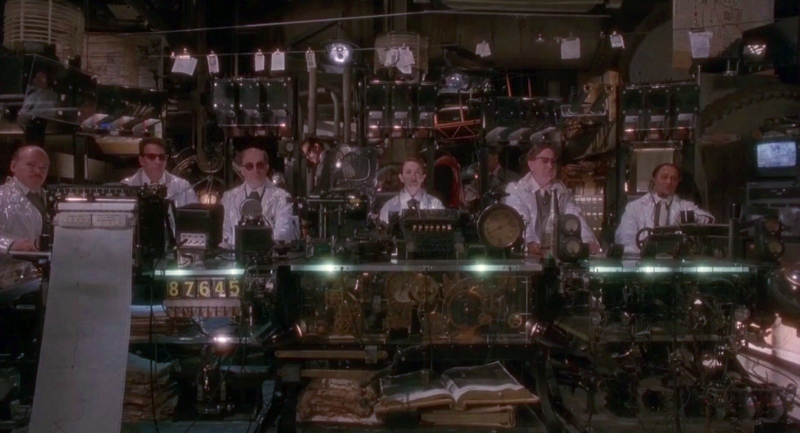 While there was virtually nowhere to go but up, keep in mind that 12 Monkeys -- like most of Terry Gilliam's output, if we're being honest -- was never designed to be sleek, shiny, high-def demo material. Yet the film's hazy, cluttered, disorienting atmosphere, full of off-balance compositions and Dutch angles, still looks like a million bucks because of the fresh new scan, not to mention better encoding. Skin tones, textures, and contrast levels look more refined and accurate here, with improved black levels and better attention to small, quirky background details. Most importantly, it's a very film-like presentation that's free from excessive noise reduction, edge enhancement, and other digital eyesores, while a noticeable but non-intrusive level of natural grain also adds to the viewing experience. Aside from the possibility of a 4K UHD release, 12 Monkeys won't look better on home video. NOTE: The images on this page do not necessarily represent the title under review. Though it sounds more or less identical to Universal's Blu-ray, Arrow's DTS-HD 5.1 Master Audio mix of 12 Monkeys remains as effective, loopy, and dynamic as ever. Dialogue is extremely clean and crisp with plenty of separation, music and other background noise -- Cole's "mental divergence" voice, for example -- ventures freely into the rear channels, and occasional bursts of LFE give your subwoofer something to do. So while there's no perceived improvements here, 12 Monkeys has always sounded great on disc. An LPCM stereo track and optional English (SDH) subtitles are included during the film only; kind of a bummer, since Universal's Blu-ray included subtitles for the extras as well. Arrow's interface is smooth and functional, with clips and music from the film plus access to subtitle setup and extras (no chapter selection, but there are 13). As mentioned earlier, this "check disc" did not include final packaging, but it appears similar to other Arrow Blu-rays with reversible cover art, a clear keepcase, and a booklet with essays and photos. Two extras are new-to-disc and, as far as I know, exclusive to this Blu-ray. First up is a recent Interview with Ian Christie (16:11), author of the 2000 book Gilliam on Gilliam. It's a candid and enjoyable appreciation that, while not exactly first-hand information, offers a nice overview of the film's advantages and challenges during production, as well as Gilliam's previous films and the friction they created in Hollywood's studio system. On a related note is a 1996 Q&A recorded by the BBC at the 1996 London Film Festival (23:50); moderated by film critic Jonathan Romney, it finds the director in good spirits and only one year removed from the film's theatrical release. Topics of discussion include the source material and script, casting, budget woes, box-office success, and of course a few questions from the crowd. Otherwise, it's business as usual: everything else is ported from Universal's 2009 Blu-ray and earlier releases, dating back to the laserdisc days. These recycled extras include a feature-length Audio Commentary with director Terry Gilliam and producer Charles Roven, the highly enjoyable behind-the-scenes documentary "The Hamster Factor and Other Tales of 12 Monkeys" (90 minutes), the crude-looking but detailed 12 Monkeys Archives (sketches and promotional art, 239 pages), and a Trailer that looks like it was sourced from a 20-year-old DVD. While more new extras -- especially with input from Gilliam -- would've put this over the top, what's here still covers the bases extremely well. 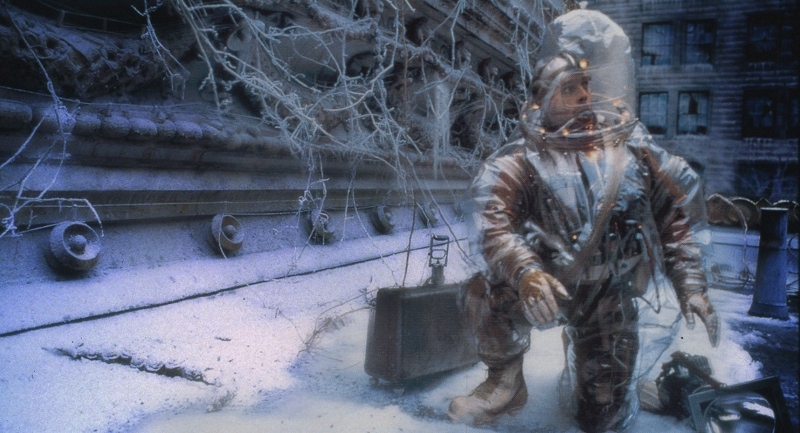 12 Monkeys is a certified sci-fi classic and one of Terry Gilliam's most satisfying feature-length films. Full of twists and turns, great characters, a loopy and chaotic atmosphere, and fine performances across the board, it remains engaging and enjoyable with plenty of replay value. I sit down to watch this one every few years and, just like I'm reminded during the film, "every time I see it, it seems different because I'm different." There's a lot to chew on here and, without a doubt, it'll remain a personal favorite for quite some time. Arrow's new Special Edition Blu-ray aims to replace Universal's 2009 Blu-ray and does so without much of a fight, thanks to its outstanding new 4K-sourced transfer and a few new bonus features paired with all the old ones. Although even more extras would've made this an absolutely essential disc, it's obviously worth picking up for fans and newcomers alike. Very, very Highly Recommended. Randy Miller III is an affable office monkey by day and film reviewer by night. He also does freelance design work and runs a website or two. In his free time, Randy also enjoys slacking off, juggling HD DVDs, and writing in third person.